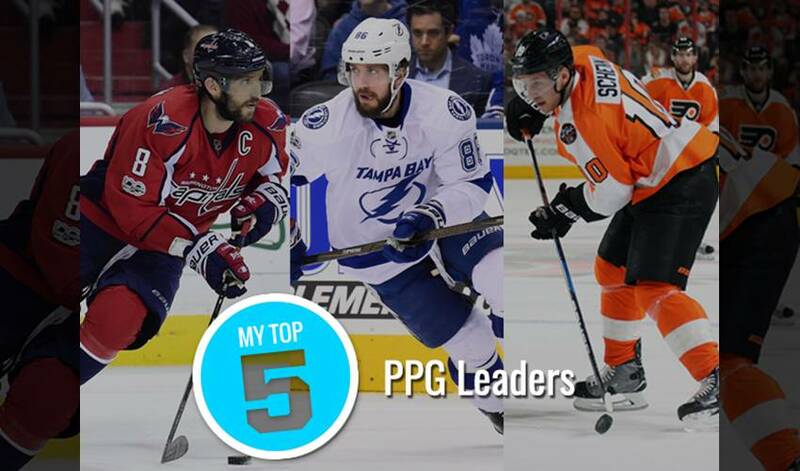 When your team needs to take advantage of a man advantage situation, these five players know how to give their respective team a lift by lighting the lamp. Which two multiple Ted Lindsay Award winners made the list? Hint: They both play in the Eastern Conference and they both wear the ‘C’ on their sweater. No. 8 was simply great when the Capitals were on the power-play in 2016-17. Washington’s captain, a three-time Ted Lindsay Award recipient (2008-10), netted 17 PP tallies for the Metropolitan Division club. The 26-year-old forward, who came to Philadelphia in a trade with Los Angeles in June of 2011, recorded 28 points on the PP last season, including 17 goals. Schenn finished the campaign with 25 goals, seven of which were game-winners, along with 55 points. Whenever Kucherov was on the ice for a Tampa Bay power-play, Lightning struck in the form of his 17 goals and 32 points. The Russian native was an offensive catalyst throughout 2016-17, a season that saw the winger register 40 goals and 85 points in 74 games. The ‘Wayne Train’ was rolling right along on the PP in 2016-17. Philadelphia’s star winger, who lit the lamp 16 times on the man advantage, finished the season with 31 goals and 54 points for the Metropolitan Division squad. Fourteen of Crosby’s 44 goals came while the Penguins were on the PP. Sid the Kid, who won the Ted Lindsay Award in 2007, 2013 and 2014, totaled 25 points on the PP. No. 87 added four more PP markers in the Stanley Cup Playoffs, one behind teammate Phil Kessel’s league-leading five tallies.